PLEASE, no multi invitations in your comments. Thanks. I AM POSTING MANY DO NOT FEEL YOU HAVE TO COMMENT ON ALL - JUST ENJOY. 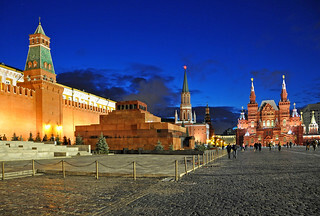 Left is the Kremlin walls, center - Lenin's Mausoleum and right - State Historical Museum.